Running errands when you’re on your own is one thing, and completely another when you’re a mum. Unless you have money to hire a nanny, you have to do it yourself, there’s no way about it. While sharing the errands with your SO is an option, there are still cases when that’s not possible, so instead of feeling stressed out or postponing which would lead to more stress eventually, why not run them with your child? Cycling your way to it is the ideal solution, and moreover you have the chance to bond with your child, plus you stay physically active. You have to agree, it sounds great! When your child is still too young to actually go on a ride on a bike, pedaling on their own alongside you, turn to the help of baby bike seats an online bikeshop can supply you with. Of course, since the range is wide, shopping may not be as easy as expected, but don’t worry, there are some steps you can go through to make sure you purchase right. Beware though, not every bike is suitable for a baby seat; as long as it’s a standard city commuter bike, you have no trouble. Once you’ve checked the bike seat compatibility, it’s time to think of the specific types of seats an online bikeshop has to offer, choosing from front, rear frame, and rear rack-mounted. A word of advice is no matter what your preference is of the three, as a parent it’s your responsibility to buy one that complies with the Australian safety standards. 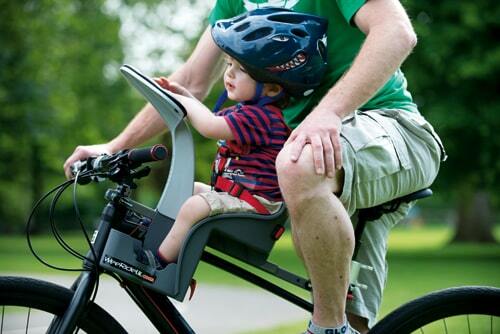 Now, speaking of the first, the front, it’s typically mounted below the handlebars, is ideal for young toddlers, and the best about it is the proximity the design allows you to have with your child. The rear frame-mounted is attached to the tube of the bike’s seat, and it has the qualities of being suitable for reclining as well as proving to be fitting older and younger children alike. Both of these qualities are shared with the rear rack-mounted which in turn is attached to the rear rack as the name suggests. The only drawback of these two is not having the child within sight. 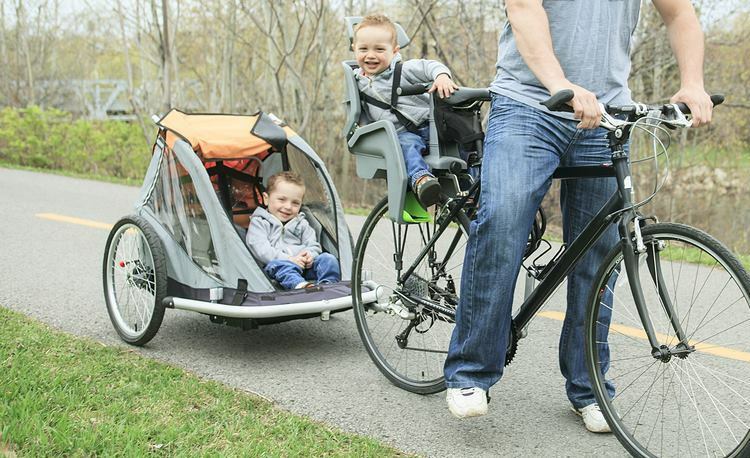 In case you’re up for something that provides storage too, while not minding having your child out of sight, then the bike trailer is the option to go for. It’s also perfect if you have more two or more children. Depending on the rides, whether they’re long or short, you might want to consider getting the help of some accessories, such as windscreen for utmost protection for your little one, or padded seat straps for more comfortable rides. A happy ride is a safe ride!